The West End Callans Association was founded in the late 1860s as a charitable association whose purpose was “....to make life a little easier for the deserving poor, particularly the old and helpless”. Assistance could be in the form of gifts of coal, goods, sums of money, or any other form determined by the Committee of Management. Only those who had been born in the West End of Paisley or who had lived there for more than twenty years qualified for assistance. The geographical area covered by the Association was defined in the constitution. There were also Callans Associations for the Charleston area (South Paisley) and the Newton area (East Paisley). The West End Callans Association was funded by donations from local businessmen who saw it as their responsibility to help the poor of the area. 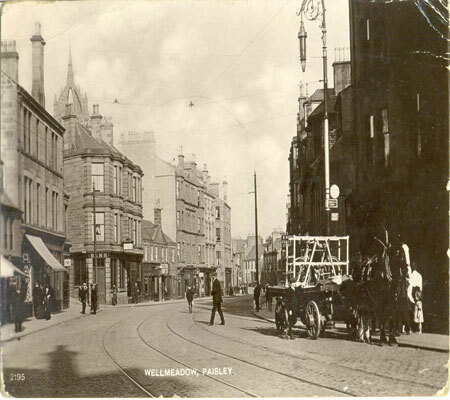 Until the 1930s, the Provost of Paisley sat on the gift committee. As well as annual fundraising, the Callans Association invested for the long-term in an Endowment Fund which provided security for the Association’s funds. Today the investments are mainly in government bonds, and although some local businesses still donate, fundraising is now focussed on events held in the Wellmeadow Bowling Club. The West End Callans Association is now a general charity giving to a dwindling number of people who either live in or have connections to the West End of Paisley. Today the Callans find it increasingly difficult to give gifts, as people are generally reluctant to accept charity. Money is now gifted more widely to Paisley charities such as the Accord Hospice, St Vincent’s Hospice and the Erskine Hospital for ex-servicemen and women.